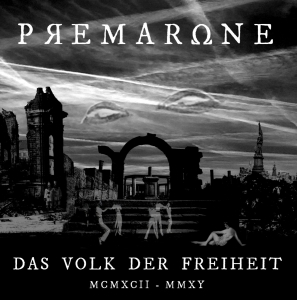 Premarone are an Italian Doom band, originating from the Piedmontian region (at the French border), who took the audience by surprise with their 2015 debut album Obscuris Vera Involvis (Nicotine Records). Three friends started jamming together, and when a fourth human being joined the crew, Pol (bass), Ale (drums and percussions), Mic (synths, Theremin, Monotron recorder) and Fra (vocals and guitars) continued as Premarone. I somewhere read that they were named after a very small village somewhere within the Alpine mountains, by the way. The members are all influenced by Progressive and Rock Music from the Seventies and Eighties, and that did surely influence their play under the Premarone moniker. The quartet’s mutual efforts are rooted within the most psychedelic basement of Doom Metal especially, and as it was for this band’s debut album, it goes as well for the sophomore full length: psychedelic Doom Metal you’ll get once again! The introduction somewhat confuses me, for this short instrumental piece called Preludio: Mani Mulite sort of combines progressive rhythms with groovy melodies and cosmic-psychotic neurosis, quite modernised in approach. But soon we’ll get submerged into the frenzy madness of forty-fifty years ago. Interludio: Interferenze (8:23) is a collage filled with noises and samples, taken from different sources, like a cacophonous amalgam, brain-twisting and frenzy. It has nothing to do with Doom Metal or Rock whatsoever, but it oh so fits to this concept! II Parte: D.F. (‘der freiheit’), which clocks twenty minutes, connects seamlessly to the interlude. Here too, like in the first official part, you can enjoy a chaotic yet structured mixture of different angles. Within the heavier parts, Sleep, Thou, EyeHateGod, Ufomammut and Grief come to mind, with acts like Pentagram, Spirit Caravan, Pink Floyd, Warhorse, Thin Lizzy, Led Zeppelin or High Tide coming to mind within the rather hyaline chapters. This composition is much heavier and ‘complete’ that I Parte: D.V., I think, for it bears much more coherence, and for it is so monumental in performance, and so dynamic in execution.